The scene ended with Washington County deputies pursuing the car through a neighborhood and an arrest; the deputy was not injured. A traffic stop in Aloha early Saturday morning resulted in a Washington County Sheriff's Deputy getting grazed by a moving car, a chase and the arrest of a Hillsboro man. The events began around 1:52 a.m. Saturday, July 7, in the area of Southwest 185th Avenue and Sandra Lane in Aloha. 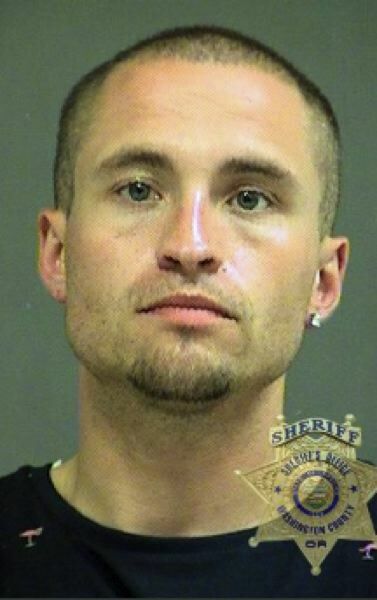 Deputies were attempting to identify the driver, Trevor Bosworth, 30, of Hillsboro, when he drove away from the traffic stop in a 2003 Hyundai Elantra. His car grazed a deputy as he fled the scene. Deputies relocated the car near Southwest Tualatin Valley Highway and 170th Avenue. Bosworth refused to stop and led deputies on a pursuit into a neighborhood near 170th Avenue and Sarala Street. Deputies ended the pursuit by pinning his car with a patrol car and he was taken into custody. The deputy was not injured. A patrol car received minor damage. Bosworth was booked into the Washington County Jail and charged with second-degree assault; attempted assault on a public safety officer; unlawful use of a weapon; felony attempting to elude; reckless driving; failure to carry or present a license; and giving false information to a peace officer.